We're filling up fast – register your foursome now for the 46th Annual Golf Classic! 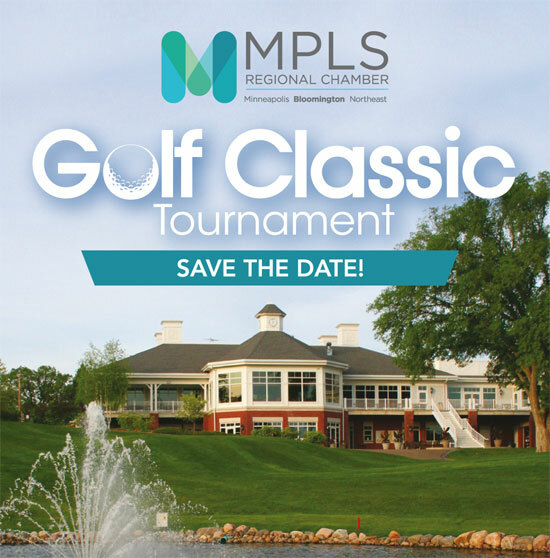 Grab your clubs and golf attire and join the Bloomington Chamber for its 46th Annual Golf Classic Tournament on June 17, 2019 at the Minnesota Valley Country Club. It's a day filled with birdies and bunkers, but most of all it's a day full of power networking to drive your business goals. Show chamber members, volunteers and leadership your company's commitment to quality business and become a sponsor! By sponsoring this event you will be promoting your company to a group of people who are very loyal to their sponsors, as well as to the many area professionals who will be in attendance. Companies like yours make available the resources that enrich our business community and keep it strong - and for that we are grateful. There are many sponsorship opportunities available – click here to learn more and view an updated list of opportunities. You can also make a silent auction donation and keep your business visibility up to par. A donation is the perfect opportunity to get your product, service or business name in front of more than 150 influential business professionals from many different Twin Cities companies. For more information on item donations, call Anna Stinson at (612) 370-9123 or click here. Donate to the Golfer VIP Bag! For $100 you have the chance to put an item in the bags received by the golfers (item subject to approval by Chamber). In return, you get a dinner reservation to spend time networking with attendees after the tournament as well as your company name listed in the program. Click here for details. Can't join us for golf? Then come to the reception and dinner once the tournament is over! Dinner is $40 per person and begins at 5:30 p.m. with the silent auction to follow. Click here to register. The day features a silent auction, lunch, reception, dinner, and awards ceremony. For more information on the event and to see a full schedule, click here. We hope to see you on June 17 for the 46th Annual Golf Classic! Cancelations must be received by May 31, 2019 for a refund. All no shows will be billed. Substitutes are accepted. The golf tournament will not be rescheduled in case of rain. The reception, dinner and awards ceremony will still be held. No refunds will be given. Includes: Lunch, Dinner, Green Fees, Cart and Tournament Bag filled with great items!